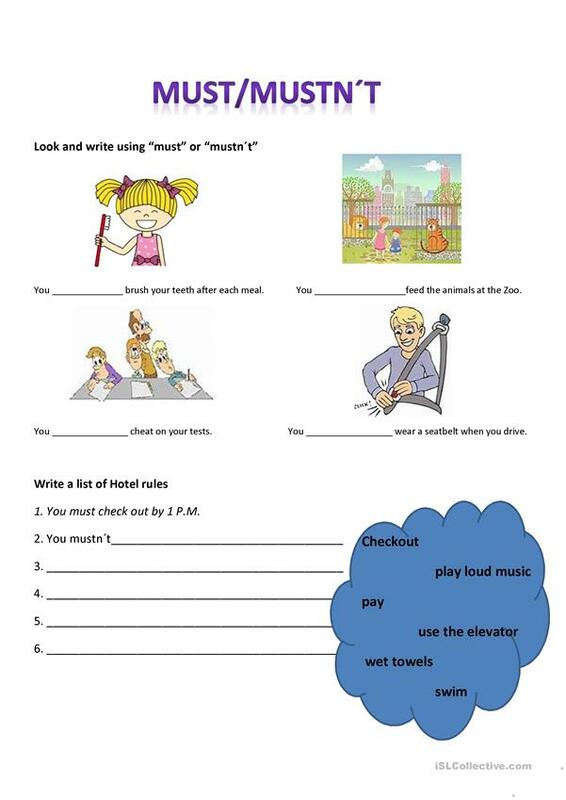 students can practice when to use must or mustn´t. The present downloadable worksheet is best suited for elementary school students at Elementary (A1) level. It was designed for strengthening your pupils' Reading and Writing skills. I have been teaching for nearly 30 years. Currently I am an english coordinator of Elementary and High School. I love working with children and teens because they are wonderful!